The report was based on the results of a survey of 304 global email marketers (60% US-based; 25% UK; 15% other), 55% of whom work for brands and 45% of whom work for agencies. Asked how much they think various factors influence email response rates, respondents rated data/list quality first and segment selection second. 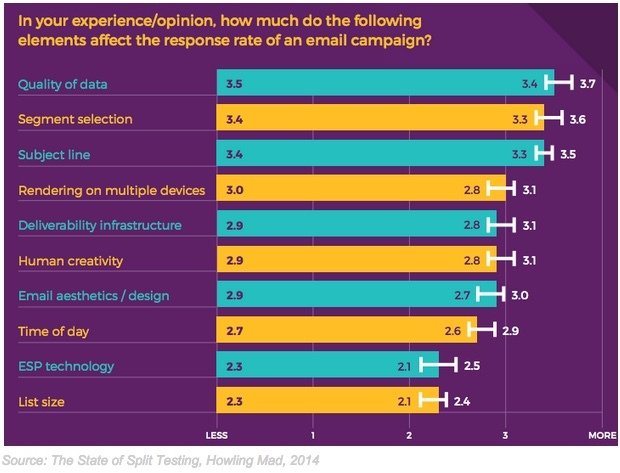 Subject lines ranked as the third most important element, followed by cross-device rendering, deliverability infrastructure, and human creativity. The factors rated as having the least influence on response rates are list size and email service provider (ESP). Though quality of data/lists, segment selection, and subject lines are rated as the top three email elements both by brand and by agency marketers, there is significant variation in how they order the various factors. 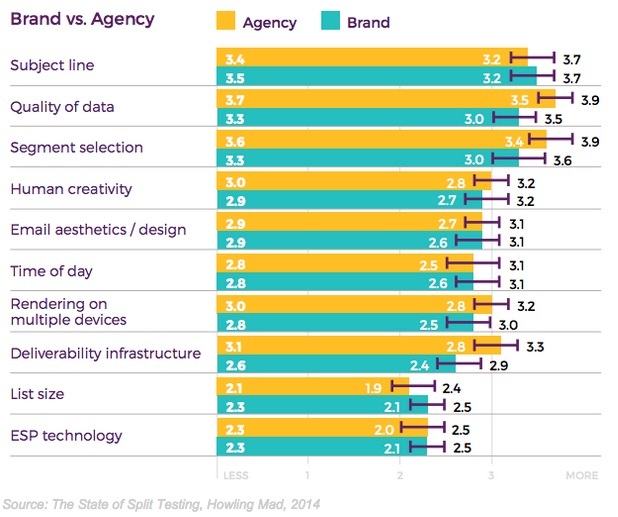 Not surprisingly, agencies view the services they tend to offer—such as data quality services, deliverability advice/infrastructure, and segmentation abilities—as more important than factors they don’t control. However, one of the factors most within human control, subject lines, is actually viewed as being more important by brand marketers than by agency marketers. About the research: The report was based on the results of a survey of 304 global email marketers (60% US-based, 25% UK, 15% other), 55% of whom work for brands and 45% of whom work for agencies.